SeaWorld Orlando’s Summer Nights Gets Even Better With After-3 p.m.
Hey there folks! Jerm here with a weekend update on some great summertime things going on over at SeaWorld All Summer long! SeaWorld Orlando’s Summer Nights just got even better with a new after-3 p.m. ticket. The special admission and special price – only $49.99 - will bring more flexibility, fun and value to Orlando’s best nighttime theme park entertainment. After dark, SeaWorld is filled with a new kind of energy and unforgettable nighttime shows. There’s Shamu Rocks, a high-energy rock ‘n’ roll extravaganza of lights, sounds and, of course, the park’s biggest star, Shamu; the hilarious hijinks of the evening-only sea lion show, Sea Lions Tonite; under-the-stars coaster rides on Manta, with riders swooping and gliding through the night; and Reflections, SeaWorld’s spectacular of soaring fountains and dazzling fireworks, that ends the night with a sky-filling celebration. It’s the amazing fun of SeaWorld’s Summer Nights, after 3 p.m., for only $49.99. 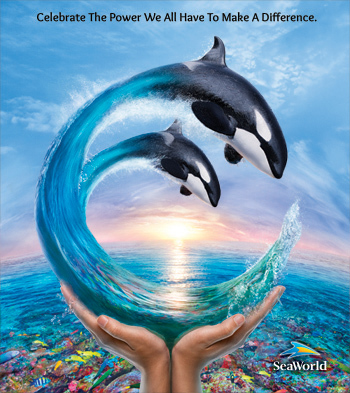 And during Summer Nights, through August 14, SeaWorld is open until 10 p.m. In addition, a special Summer Nights after-3 p.m. ticket and dining deal is available for only $59.99. This amazing package includes a wristband to enjoy all-you-care-to-eat-and-drink at participating restaurants. This deal can be purchased on-line or at the Information Counter upon arrival. There are also special deals for families looking for an all-day SeaWorld adventure. Adults pay the kid’s price and get a 2nd visit free. As with all of SeaWorld’s special events, Summer Nights is included with park admission. For more information, visit SeaWorldOrlando.com. That&apos;s all for now folks, but be sure to stay tuned in for more updates on things to do in Tampa Bay and SeaWorld Orlando related events!